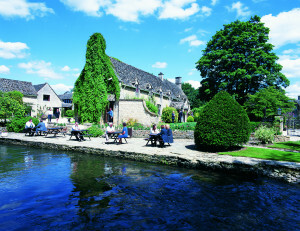 Choose from 40 hotels and guest houses in Oxfordshire. Shown below a just a selection of the hotels available. To search within an area please use the menu on the right. 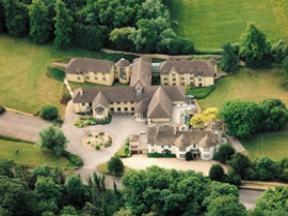 Nestling on the edge of the Cotswolds between Oxford and Swindon, within easy access of the m4 and m40. 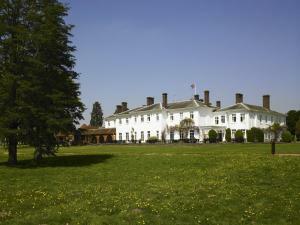 The hotel offers traditional comforts with modern facilities set in 9 acres of beautiful grounds. Sudbury House, once a fine regency residence, has been extended in recent years to form a fully equipped hotel, blending modern facilities with traditional elegance. The development has been thoughtfully designed to exist in perfect harmony with the original building & its surroundings. The hotel has 49 bedrooms including 1 suite. For family use, there are 2 rooms with a double bed, bunk beds. Surrounded by the beautiful scenery and rolling countryside of the Cotswolds, this Grade II listed building is made of traditional local stone and slate and boasts beautiful original features. Typical of the region, the Bird in Hand was originally constructed in the traditional manner in the 17th century. Today, the inn has been totally renovated, but is still rich in original charm and gorgeous period features, such as natural Cotswold stone and heavy wooden beams. Each of the rooms has its own unique, individual warmth and character. The oldest room is the heart of the hotel. The huge inglenook fireplace blazes away with enormous logs during the cold winter nights and during the hot summer season, the hearth is decorated with a display of local flowers. With excellent service, mouth-watering food and a warm, friendly and relaxing atmosphere, the inn is great as a base from which to discover the delights of the Cotswolds and surrounding areas. Situated on the Oxford Business Park, at the junction of the A4142 and the B480, only 3 miles (5 km) from Oxford city centre, the hotel offers comfortable, great-value rooms and free parking. 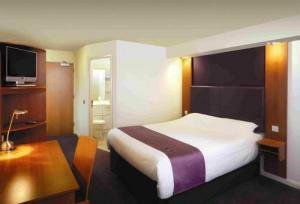 The Premier Inn Oxford has a convenient location with good access to the region's major roads and the city centre. There is a David Lloyd Leisure Club next to the hotel, offering discounted day passes. All of the large, clean and modern rooms have satellite TV, hairdryers, tea/coffee and telephone/modem points. Some rooms can take 2 adults and up to 2 children (under 16 years). The 2 children also get a free full breakfast when accompanied by an adult eating a full breakfast. An all-you-can-eat buffet breakfast is available each morning and includes scrambled, fried, poached or boiled eggs, and pork or vegetarian sausages. There is also a wide continental selection. The on-site Beefeater restaurant serves freshly cooked char-grilled food. 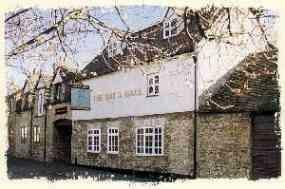 In a small, pretty village in the Oxfordshire countryside, just 8 miles (13 km) from Oxford city centre, this former coaching inn offers delicious food, real ales and a charming village atmosphere. The Bat & Ball Inn has a great bar, with an enormous collection of cricketing memorabilia. With pine tables and flagstone floors, the bar has a cosy and comfortable feel. You can enjoy an excellent selection of hand-pulled ales including LBW, Marston's Pedigree and a weekly changing guest ale. The restaurant has a great reputation for serving fantastic food, with seasonal menus offering good quality and value for money. The Bat & Ball has appeared in the Good Pub Guide and more recently received an entry in Michelin's Eating Out In Pubs Guide. Wi-Fi is available in the bar and restaurant. All of the rooms have now been sympathetically refurbished in a contemporary style. Each room is named after a famous cricketer and has starched linen bedding, a modern en suite bathroom, an LCD flat-screen TV with digital Freeview channels and solid oak furniture. 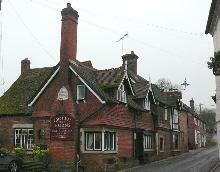 The Peacock, a friendly country inn set at the foot of the beautiful Chilterns in picturesque Henton, near Thame. This is an ideal location for business and leisure guests, with easy access to Oxfordshire, Buckinghamshire and Hertfordshire. 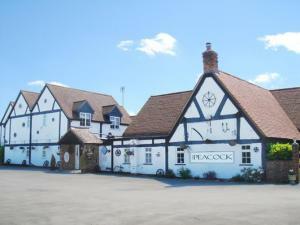 The Peacock offers a place to enjoy reasonably priced, freshly cooked food after a hard day's work and to get away, relax and enjoy the countryside. You can also venture to Oxford for some shopping, walk along the Ridgeway or just read the newspapers and enjoy a drink at our period bar. You will find our friendly staff always ready to assist and The Peacock a quiet and secluded sanctuary in which to unwind and relax. In the heart of the Chiltern Hills, in a designated Area of Outstanding Natural Beauty, this 300-year-old country inn offers free Wi-Fi, free parking and stylish, modern 3-star hotel accommodation. Situated in woodland at Ibstone Common, only 1.5 miles (2.5 km) from junction 5 of the M40 and just a short drive from High Wycombe, the Fox Country Inn has a peaceful, relaxing, and yet convenient, location. The beautiful, tranquil setting and easy access to the region's major roads has made the hotel popular with both business people and weekenders. Free private parking is available on site. 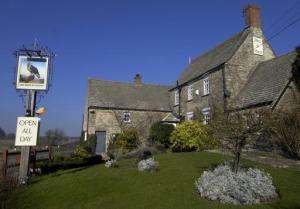 The bar has the friendly atmosphere of a traditional English inn, with low beams and log fires in winter. The restaurant offers fine dining, with traditional meals made with locally sourced produce. 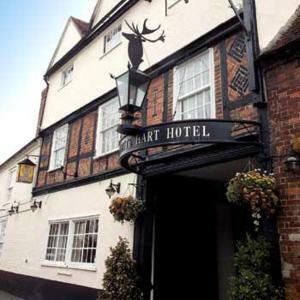 The hotel has received a 3-star rating from the AA and all of the rooms offer high-quality contemporary comforts and facilities, including satellite TV and free Wi-Fi. This transformed former Victorian prison is now a stunning boutique hotel offering unique luxury in historic Oxford. Stylish rooms, fabulous original architecture, a divine brasserie and bar and a fully equipped gym come together at Malmaison Oxford. Spend a night in a converted cell complete with luxurious additions including a power shower, mood lighting, CD and DVD players and satellite TV. In South Oxford, next to the Kassam Stadium and Conference Centre, this Holiday Inn Express is 10 minutes by car from Oxford city centre. The bus stop for the city centre (buses 1 and 5) is 5 minutes' walk from the hotel. There is free car parking at Express By Holiday Inn Oxford Kassam Stadium. A 5-minute walk from the hotel will take you to Ozone Leisure Centre which has a cinema, bowling, bingo, restaurants, a children's activity centre and a leisure club with pool, large gym, steam room, sauna and spa pool. There is a special offer for hotel guests. The hotel's bar/lounge area shows Sky Sports on a big screen. Food can be ordered from local takeaways and eaten there. In the heart of the quiet market town, this charming former coaching inn dates back to the 16th century and has retained its original cobbled courtyard and fountain. The hotel's central location makes it an ideal base for exploring Faringdon's picturesque streets and the surrounding countryside. Once a month, the archway leading to the hotel's courtyard, just off the market square, is home to stalls from the local farmers' market. All of the hotel's rooms are decorated in light, neutral colours and have wooden furnishings. Some of the rooms still feature carefully preserved period features, such as original wooden beams. 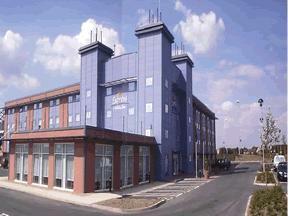 Located on junction 11 of the M40, this hotel is ideally located for Silverstone. The hotel has air-conditioned rooms with complimentary high-speed internet access. Wireless internet can be accessed in meeting rooms and public areas. A complimentary continental breakfast is included for all guests. The Holiday Inn Express Banbury also has 4 well-equipped meeting rooms which can accommodate up to 60 people. North Wiltshire's best kept secret, this charming hotel is ideally situated on the edge of the Cotswolds, within easy reach of the local area's attractions. Relax throughout the day in the sophisticated surroundings of the lounge bar. Enjoy morning coffee, a light lunch or traditional afternoon tea. Go into the evening with an exciting list of super premium spirits, to complement an extensive selection of champagnes, wines and beers. In the warmer months, the courtyard is perfect for al fresco dining or that leisurely afternoon or evening, sipping a seasonal tipple. Since opening in January 2007, Jesmonds of Highworth has been awarded 2 prestigious awards from the AA for accommodation together with exceptionally inventive modern European menus, combined with first-class service in stylish yet relaxed surroundings. This bed and breakfast offers you your own front door key to one of 10 comfortable en suite rooms in a peaceful courtyard, within walking distance of Abingdon town centre. 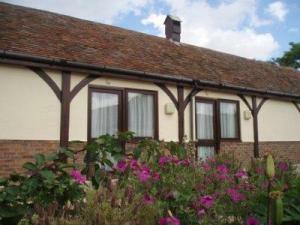 An excellent alternative to hotels in Abingdon, this bed and breakfast is on the outskirts, just 8 miles (13 km) from Oxford. There are amenities such as petrol stations, cash points, shops, many restaurants and a sports centre all within walking distance. All rooms include complimentary Wi-Fi internet access, Freeview TV, toiletries and tea/coffee making facilities. You can leave your car in the ample private car park and, on a sunny evening, enjoy the walk to the local pub on the banks of the River Thames. 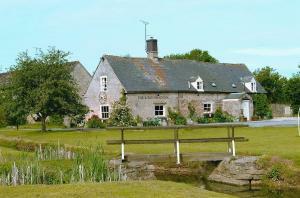 This country pub and hotel serves good food, wine and Real Ale. 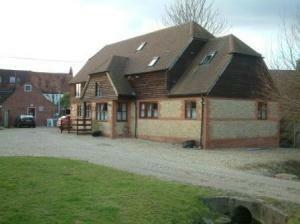 It is set in Oxfordshire countryside and is ideal for walking or mountain biking on the Ridgeway. This Premier Inn has free parking and family-friendly rooms. It is 11 miles (18 km) from Oxford, 2.5 miles from Didcot Parkway Rail Station (trains to Oxford in 15 minutes; London in 45 minutes). 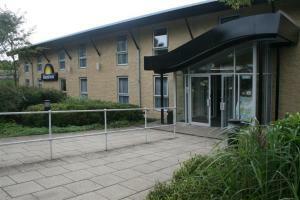 The Premier Inn Oxford South (Didcot) has an on-site Table Table restaurant. Some rooms can take 2 adults and up to 2 children (under 16 years). The 2 children also get a free full breakfast when accompanied by an adult eating a full breakfast. The full all-you-can-eat breakfast has the expected cooked items, including vegetarian sausages, as well as a wide continental selection. 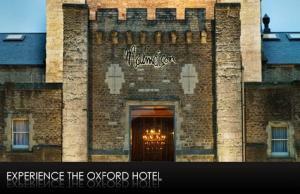 The Oxford Belfry is set in 17 acres of beautiful countryside, just a short drive from the dreaming spires of Oxford. The hotel is an ideal base for exploring the surrounding attractions, including Blenheim Palace. The hotel's 154 elegant and spacious bedrooms are set around two courtyards with their flower borders and sparkling fountain. The light and airy corridors will lead you to a variety of lounges, so you can sit and relax after a day of sightseeing, before dining in their award winning restaurant. 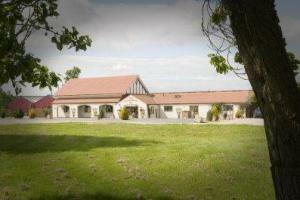 The Reflections leisure facilities include a heated indoor pool, gymnasium, sauna and two all weather tennis courts. 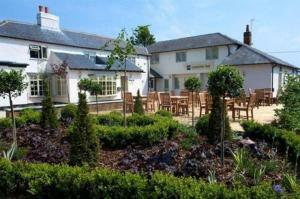 This hotel is close to Oxford, adjacent to the A34 and just 5 minutes' drive from junction 9 of the M40. 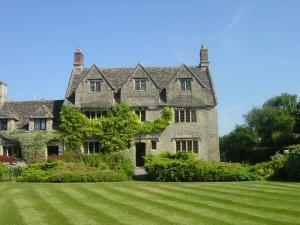 Its attractive rural location is also convenient for Blenheim Palace and the Cotswolds. There is a superb selection of en suite bedrooms including a number of luxurious four-poster rooms and suites, all of which have feature bathrooms. Many rooms have jacuzzi baths and some have large showers or wet rooms. The four-poster family suite is ideal for a family leisure break. There is unlimited free car parking on site and free Wi-Fi access in public areas. The hotel has a large bar and restaurant, and the recently constructed Blenheim function suite can accommodate up to 120 people for weddings, conferences and other functions. The Lismore is a comfortable and tastefully furnished two star hotel retaining the ambiance of a Victorian house. 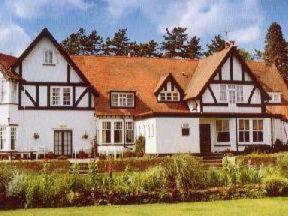 A friendly and informal hotel with an open log fire in the bar lounge during the winter. A comfortable and informal Victorian home, with 23 en suite bedrooms. The hotel has a bar with an open log fire during the winter months. Meals are served in the restaurant or the bar in the evenings. Car parking is at the rear of the hotel. Five new 4 poster rooms and six family rooms. One family room can sleep up to 8 people.